Frankly, salespeople don’t like to use a lot of tools. And talk of sales enablement technology makes most of us in sales want to run in the other direction. Sure, we know it’s for a good cause…to support the sales cycle. But the reality is this: how do we spend the hours we have to achieve our revenue goals? It’s common for salespeople to be set in their ways when it comes to getting the job done—you can pretty much multiply that by ten when you’re talking about your senior sales reps. Adopting new technology is seen as a source of friction by most people on your sales team, regardless of age, because they don’t have time to learn a new tool. To sales, learning time takes them away from selling time. But sales also spends too many hours on administrative tasks, and there are tools that can lighten up the operational load. Take RFP responses, for example—a classically time-consuming task that most salespeople will avoid at all costs. We sometimes get a “taste of our own medicine” around here and respond to RFPs. Thankfully, I get to use our software whenever an RFP comes in. One time I had to answer 45 questions under a tight deadline and I pulled it off in 20 minutes. Tools like that are alright in my book. And, that brings us full circle. Salespeople need to adopt some technology to be successful, but not all. So, here are a few sales enablement features that will bring quick, recognizable benefits to even the busiest teams. Without a tool to keep sales content centralized, it’s difficult to manage the resources that go into that effort. The point of the content is, of course, to support the sales cycle at various stages in the buying cycle. But an inefficient process can just end up costing companies. When it comes to RFP responses, having a strong answer library helps speed up the process tenfold. But the majority of companies are still doing this process manually in spreadsheets. This is where automated technology helps organize existing content—and even autosuggest answers—to save teams time. A helpful sales enablement feature like this can also be used beyond the main purpose of the tool. Since many of the questions being asked in RFPs are identical in the sales cycle, one of our clients used the answer library to provide his sales team with quick access to information that expedited the sales process. So, it also comes down to how you take advantage of these tools to get more mileage out of them. Sales technology is always stronger with a strategic mind behind it. Salespeople typically accept one tool, the CRM. But the CRM alone is not enough for sales enablement. I can tell you as a sales guy, that I don’t want to worry about a new tool. So I completely understand when our prospects say they prefer to stay in the tool they’re already using…Salesforce. 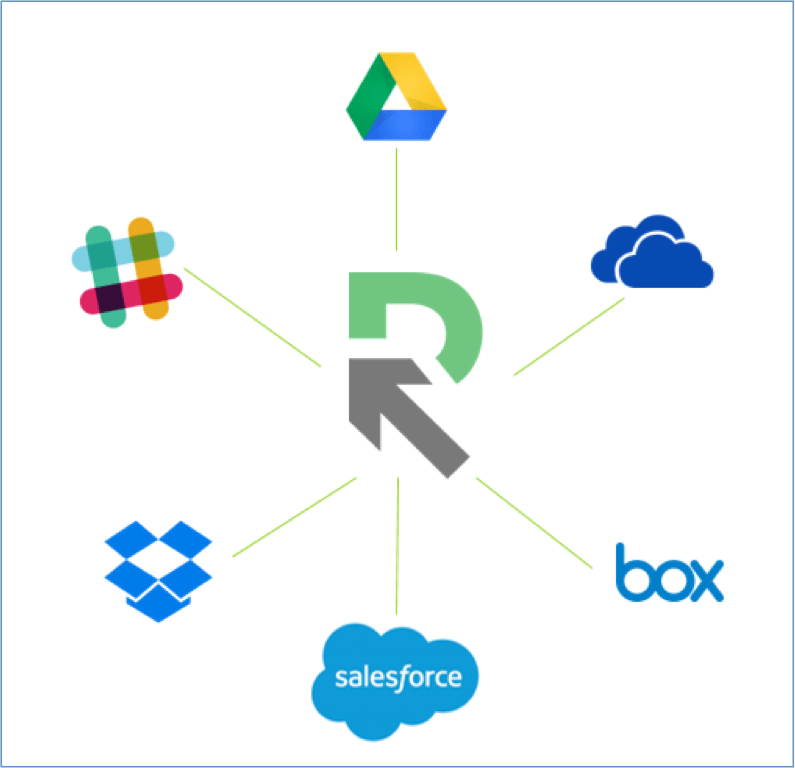 Integrations limit the amount of tools sales has to log into. Since we all know about the tendency for salespeople to rebel against new technology, this is the kind of workflow feature your team wants to hear. This might even close the deal with minimal rebuttals. It’s already like pulling teeth to get sales to update opportunities in Salesforce, right? So imagine adding another tool on top of that for other administrative tasks. Then you start to understand why you’re seeing so much pushback. If sales can be in one place to update the info across multiple tools, that makes a big difference. A go-to integration like Salesforce with your latest tool will inevitably create a happier team all-around. Everyone’s jobs are interrelated and the last thing you want at your company are silos. Even salespeople, with their natural aversion to administrative tasks, understand the need to work together to reach the organization’s objectives. They also know if they don’t respond to a request that they will be “hunted down” by other team members until they complete the task. So yes, collaboration is a non-negotiable. But keep in mind that regular communication and meetings fall into the non-selling category for sales. Meaning, they will de-prioritize touch bases related to projects. Sales enablement technology should equate to less effort with collaboration between team members. Whether it’s a Slack integration or quick way to @-mention users for clarification or questions, easy communication will sit better with sales. The less teams need to rely on sales for administrative requests is always better, but it’s not the reality of teamwork. Simplifying communication for your salespeople is the middle ground that can keep productivity humming along for all parties. 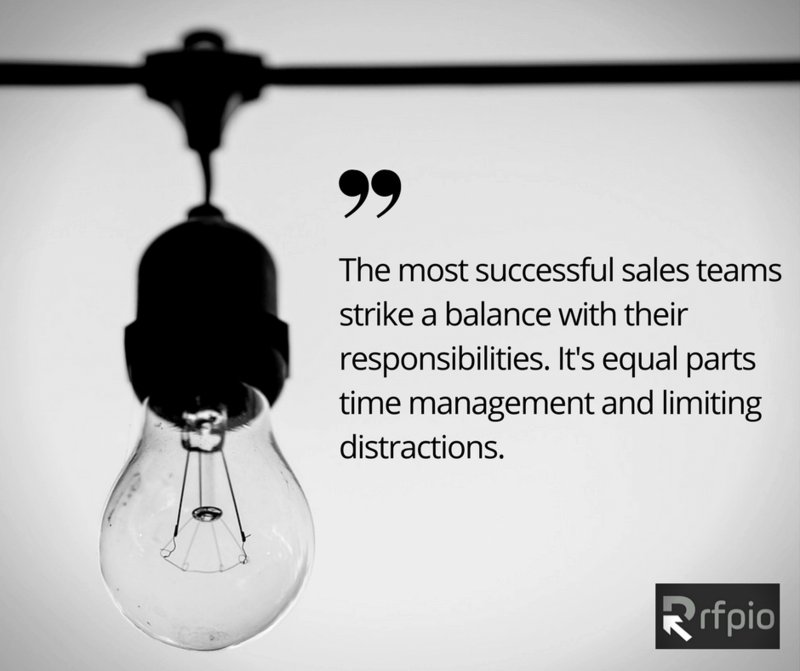 The most successful sales teams strike a balance with their responsibilities. It’s equal parts time management and limiting distractions. When it comes to sales enablement technology, integrations are key—ditto the simplification of the entire process for smooth user adoption that provides lasting benefits for busy teams. Keep it simple when you’re looking for that new tool. Your sales team may not be thrilled about the technology when you bring it to your company, but they’ll be on board if it’s ultimately less about work and more about sales.